Diving into the holiday season and we’re ready! Island Club members, present your Michigan hunting license at the Island Club from November 15 through 30 to register! 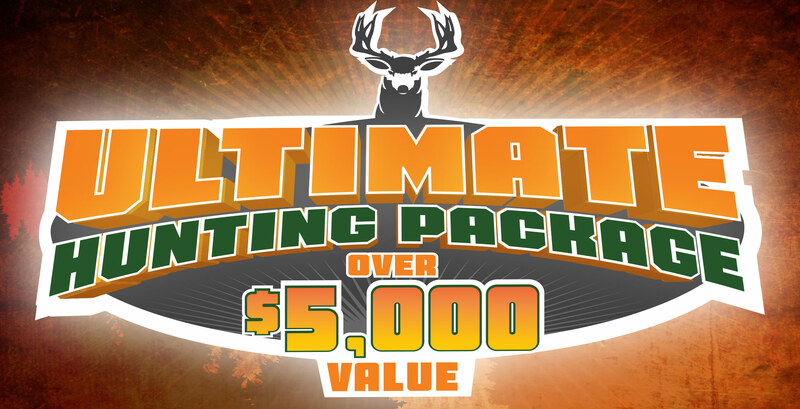 WINNERS will be drawn and invited to return Saturday, December 8 for a  round slot tournament to win great hunting prizes, including your chance to win the big prize, ULTIMATE HUNTING PACKAGE. These 12 winners will also receive a complimentary hotel stay and a dinner for two for Dec 8. *Winner must pass FBI/NICS background check to receive the prize. Promotions subject to change at management’s discretion. 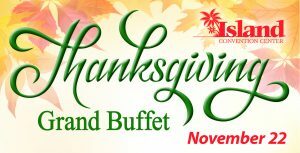 Enjoy a Grand Thanksgiving Buffet at the Island Convention Center on November 22, 2018 from 12 pm – 5 pm ET. Please call 906-723-2091 for reservations of 5 or more. All bus coupons, discounts, and club redemptions accepted. 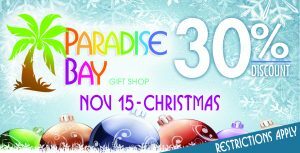 Starting November 15 through Christmas, pay for a minimum of half your purchase with Island Club points and receive a 30% discount at Paradise Bay Gift Shop! Gift cards can also be bought to gift the Island Experience to everyone on your list. Gift cards are available at the Ticket Office or by phone at 877-ISL-SHOW. *Not valid with other offers. Excludes tobacco, candy/snacks, beverages, sundries, and publications. Promotion subject to change at management’s discretion. If you have a birthday in November, visit any kiosk and receive a FREE $5 buy-in for any tournament during the month. *Limited seats available for free birthday buy-in. Tournaments are limited to 96 players and may be cancelled or change at management’s discretion. Team tournaments are played in teams of two. Dance to stay warm as the winter comes through! 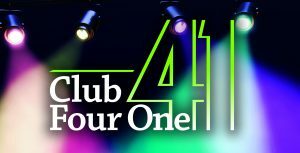 Come by Club Four One every weekend in November for live music performances! Shows start at 8:30 PM ET until 1:15 AM ET, Thursday through Saturday. *Indicates a local band that only performs on Friday and Saturday. All acts subject to change. Must be 18 or older to enter Club Four One. Must be 21 or older to consume alcoholic beverages. Laughter creates body heat. Body heat keeps you warm in the winter! 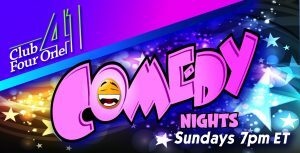 Come by Club Four One every Sunday night in November for hilarious performances by comedians from all over the country. Shows start at 7 PM ET. *Must be 18 or older to enter Club Four One. Must be 21 or older to consume alcoholic beverages. All acts subject to change. 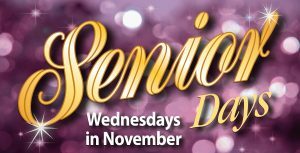 Island Club members 55 and up, we want to see you at the Island on Wednesdays in November for Senior Days! Use your Island Club card to be eligible to win cash equal to your age AND participate in a FREE senior slot tournament every Wednesday at 6 PM ET. *Must be using Island Club card to be eligible. Promotions subject to change at management’s discretion. 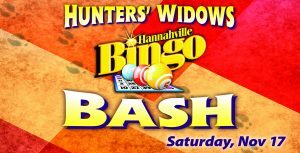 Get in the hunting spirit and join us for another Bingo Bash on Saturday, Nov 17. Early birds start at 6:30 PM ET and Regular session starts at 7:00 PM ET. With over $5,000 in cash payouts, you’ll want to secure your spot now because there is limited space available! Doors will open at 4:00 PM ET. Spots are limited to 264 attendees. Limited to 8 computer packages. Contact Bingo for details by calling 800-682-6040 ext. 5420. *Must be 18 years of age. Promotion subject to change at management’s discretion. 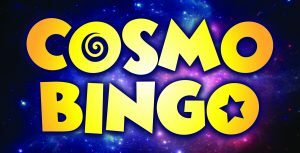 We’ve got 3 Cosmo Bingo dates this month! Don’t miss out every other Saturday night at the Bingo Hall at approximately 11 PM ET. 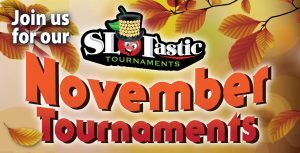 Music, giveaways, fluorescent cards and daubers, games and prizes and more! Check back later to see the winning game prizes! 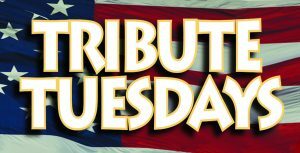 As a special thank you to our veterans, we dedicate every Tuesday in the month of November to you. Visit the Island Club to present your military ID and register to win a Relic Wood Handcrafted Footlocker gift customized with your branch of service. *Need not be present to win. Must present military ID to register. Promotion subject to change at management’s discretion.